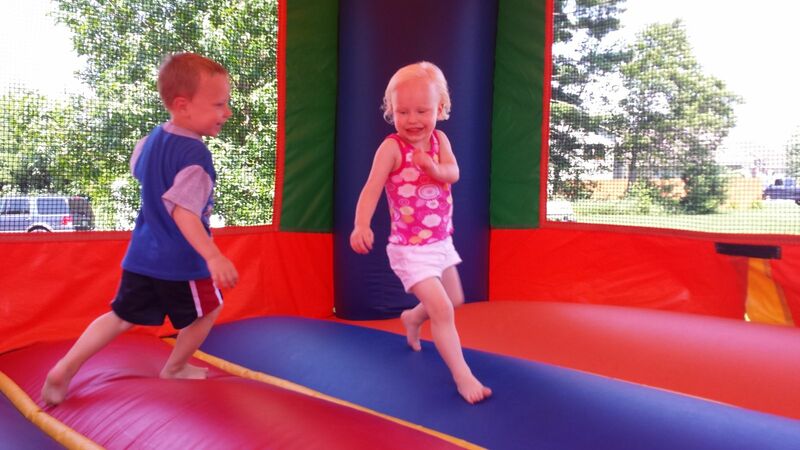 A Sports Bounce House rental is a good call no matter which way you look at it! This colorful bounce house is designed for active kids...both boys and girls alike and highlights the sports that kids and parents both love! 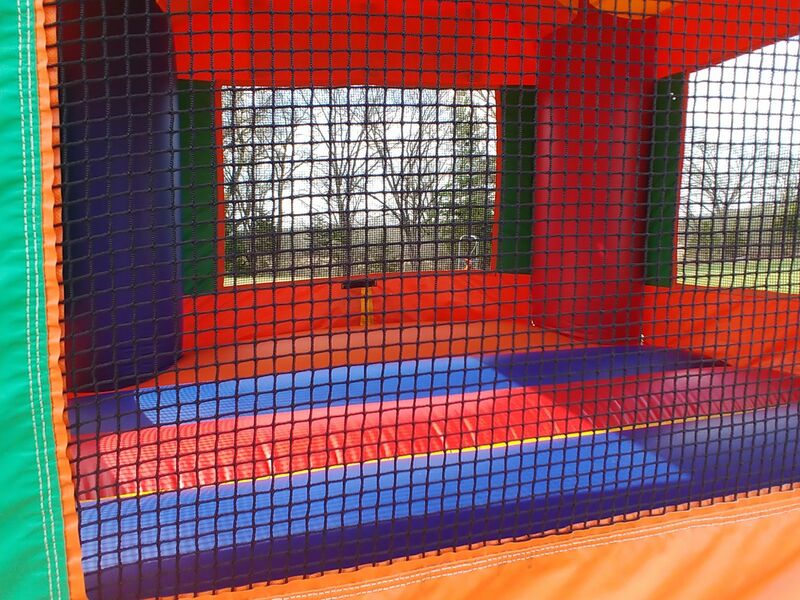 This bouncer has an open and spacious jumping area that can accommodate up to 8 participants at a time, but a smaller footprint to fit in tighter spaces. It's bright colors are perfect to match any party theme whether in your backyard, school gym, or church fellowship hall. It features an inflatable safety ramp at the entrance to protect excited kids as they scramble to get inside the bouncer. The Sports Bounce House also has large netted vent windows that allow for fresh air-flow that keeps your active kids cool in the summer and also makes supervision of the activities inside the sports arena a breeze! There is a tiered covered roof that provides shade over the entire bounce house. To top it off, there are four colorful sports balls, including a basketball, soccer ball, football, and a baseball/softball soaring overhead as the excited kids jump inside! Perfect for athletes of all ages!